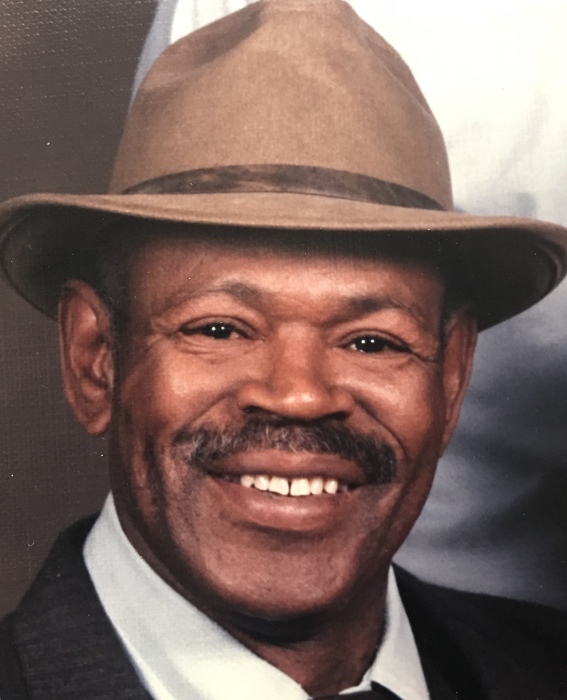 Billy James Madison 82 of Rockford passed away of a short illness on January 24, 2019 in Amberwood Healthcare facility. Born September 17, 1936 in Camden Ark to Lessie Mackey and Dallas Madison. Billy attended Lincoln High School in Camden, AR he then later joined the Navy in 1955 and was honorably discharged. Billy was a self-taught self-employed carpenter bytrade where he employed many under him until 2012. Billy joined Sallie Joseph for 32 years, he accepted and raised her five children as his own. He leaves to cherish his memory, stepson, Kendrick (Tammy) Prince; step daughters, Shauna (Charles Walker) Hill and Michelle Saucedo; special friends, Nathaniel Walker, Theresa Collins, CL. Jackson, Ronnie Webbs and a host of family and friends. Special Thank you to Latonia Sanders, Rose Bud and the Staff of Amberwood Care Centre for their special care. Preceded in death by both parents, two brothers; and two step sons. Service will be held 12 noon Friday, February 08, 2019 at Collins & Stone Funeral Home 128 S Fifth Street with visitation from 10am until time of service.